Honoured to welcome Her Majesty to Sheffield Cathedral on her Royal Maundy visit - Maundy Thursday 2 April 2015. 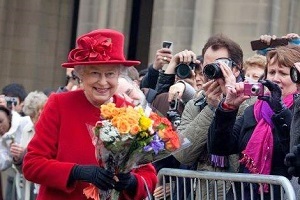 Her Majesty The Queen visits Sheffield Cathedral. The Bishop of Worcester addresses our Royal Maundy recipients. Royal Maundy gifts for 89 men and 89 women. The history behind Royal Maundy and the Monarch's visit.